Not everyone will be able to run Optane Memory. 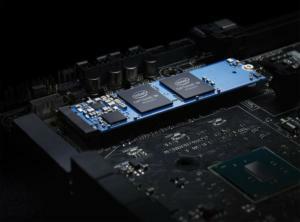 Essentially a 32GB or 16GB M.2 module that supports the fast NVMe data/communications interface, it requires a motherboard that has an M.2 module and BIOS support for Optane. You’ll also need a Kaby Lake Core i3 processor or higher. Kaby Lake processors only work in Windows 10 or Linux. To set up Optane, you simply drop it into the M.2 slot, install the drivers and application, then pair the drive with your primary boot drive. The Optane software moves some OS files to the Optane drive itself to aid in faster performance. If you decide to remove the Optane drive, you must unpair them so you don’t lose files. Once installed, the Optane memory drive will be invisible to the OS, and only your hard drive will appear in My Computer etc.